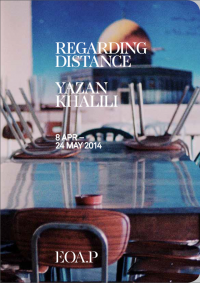 Regarding Distance was the first major solo exhibition in the United Kingdom by acclaimed Palestinian artist Yazan Khalili; features works produced over the last decade which explore the scarred and fraught landscapes of the West Bank, where the artist grew up. 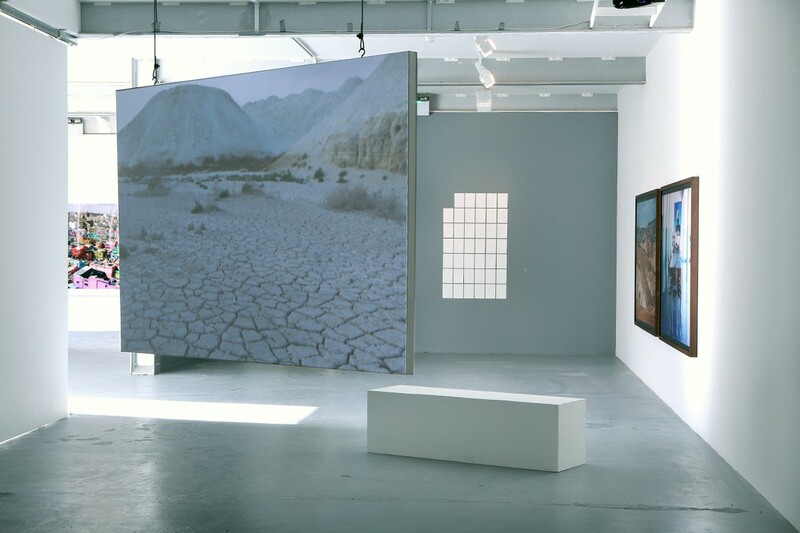 The exhibition featured video work, photography and drawings, including some of Khalili’s best-known projects; Regarding Distance, The Aliens, On Love and Other Landscapes and The Slaughterhouse. These works are accompanied by lucid and engaging texts reflecting upon and mediating this visual output. 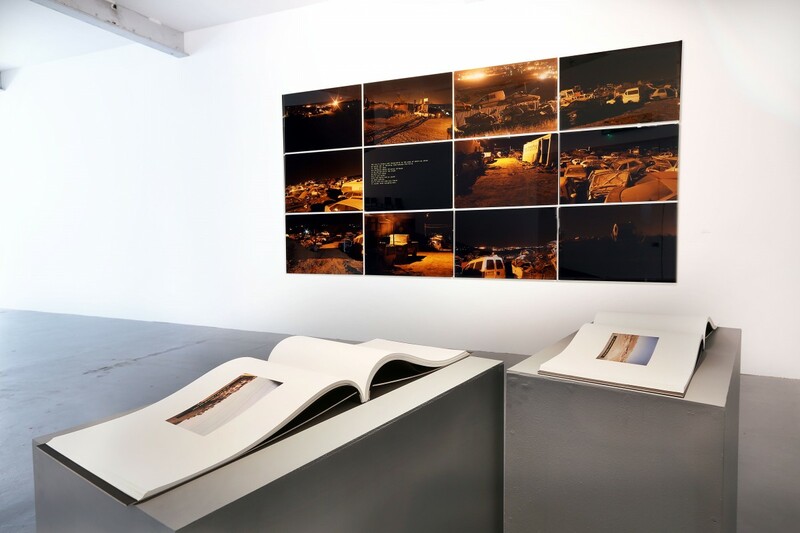 They include accounts of journeys through ‘Area C’, in the occupied West Bank, unplanned stops in car dumps and attempts to reach the sea; others are broader interactions with the notion of landscape in a Palestinian context and a refusal to depict the Israeli-built wall. They form a critical strand in the work of this pioneering Palestinian artist.